This Collection has a one inch bevel rout on top and shelf. 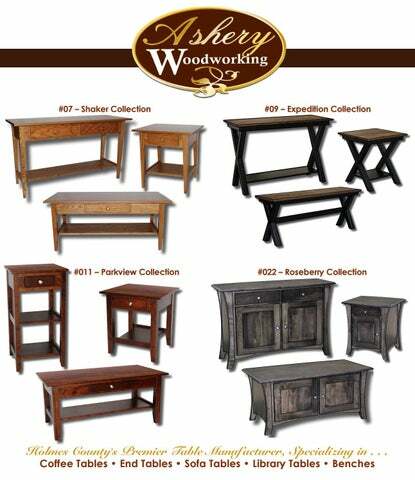 Options Available • Custom sizes • Lift top for coffee tables • Hard Maple, Brown Maple, Oak, Elm, Cherry, Sap Cherry, Rustic Cherry, Quarter Sawn White Oak, Rustic Quarter Sawn White Oak. This Collection has a bowed top with a waterfall rout.